It is essential to keep the areas around your sink tidy; not only will commonly-found items tend to look messy if not properly organised, but as they are likely to be wet, improper storage could damage your worktop. The large Caddy™ sink organiser from Joseph Joseph is a stylish and practical option, with space to store sponges, dry dish cloths, and keep washing-up soap and brushes. The extra-large draining plate at the bottom can be removed so that excess water can be disposed of. 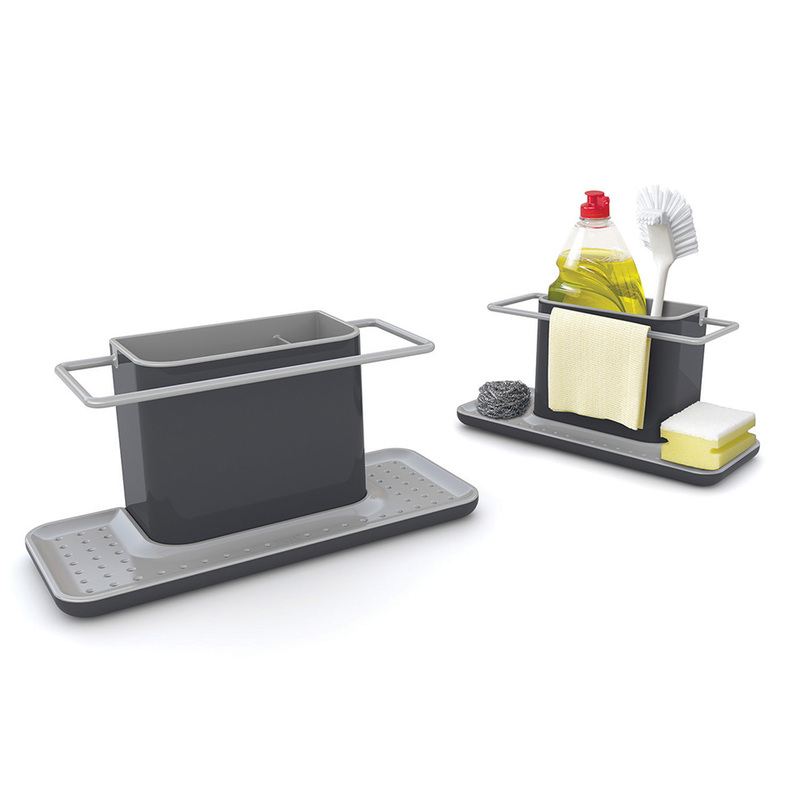 Dishwasher safe, the entire Caddy sink organiser can be dismantled for easy cleaning. The complete unit measures 30.5 (W) x 13 (D) x 15cm (H).